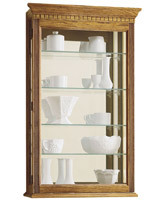 What are the features in this line of curio cabinets that make them a compelling buy? 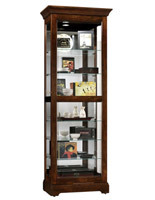 This store furniture with handsome wood finishes and sparkling glass displays highlights trophies, objects of art, and other collectibles, without breaking the bank. 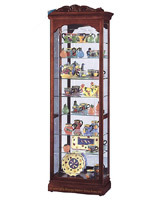 Buyers benefit from a large array of architectural flourishes at this website when purchasing furniture to enhance shop décor while showcasing accessories for sale. Quality illuminated fixtures are also available for museum and art galleries, though these styles can be used to enhance rooms in the home or commercial venues. 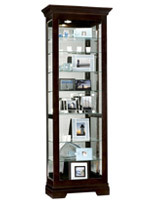 Hotels and clubs create ambience using curio cabinets, also known as store souvenir cases, and an assortment can be purchased at once for bulk pricing. 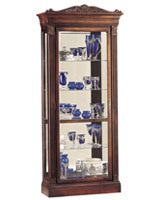 Whether the selection is a corner or straight cabinet, each of these professional-grade items is shipped fully assembled for the buyer’s convenience. 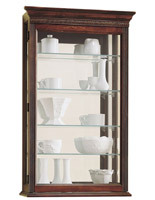 Expert craftsmanship ensures the longevity of these units, some of which are designed by the renowned architects Howard Miller, and Morrison & Hewitt. 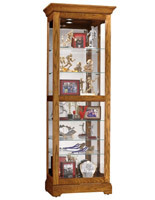 Height-adjustable and sliding shelves, narrow, mid, and wide frame builds, and every dimension imaginable for various types of merchandise and collectibles, are what draws companies to our line of quick-ship merchandise. Options are available with storage underneath to keep overflow or personal items out of sight in commercial environments, or for linens or seasonal items in the home. Quality halogen bulb showcases draw extra attention to small and/or fine items like jewelry or art, bathing them in a beautiful glow to create a favorable impression that results in more sales. 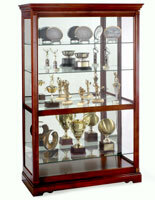 These curio cabinets can be purchased at this website cheaply and quickly. 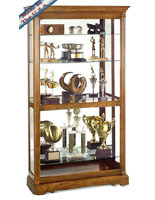 Some of these trophy displays are lockable, so valuable merchandise or inventory is safe from theft or damage. 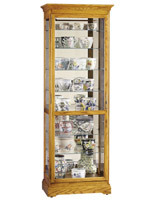 These fixtures ship assembled to ensure easy installation, a boon for busy store owners. 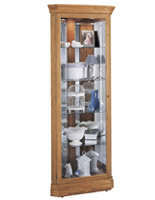 These quick ship curio cabinets for a collection of museum artifacts, store jewelry, and home or office trophies are available in a myriad of sizes and styles. These souvenir cases come with a promise of beauty and longevity, ensuring savings over the long term. 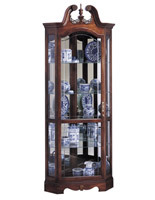 Some of these crystal clear glass displays feature a groove for antique china or contemporary plates to keep them upright. 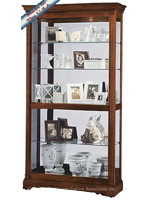 What special features stand out in this line of souvenir cases for professional and home use? Finish: Cabinets with lights are available in a variety of finishes including oak, mahogany, cherry, coffee, and rose wood. 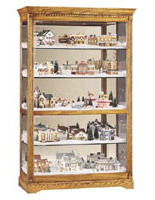 Mount: These models are freestanding, or wall-mounted, depending on venue size, merchandise type, or items being shown. 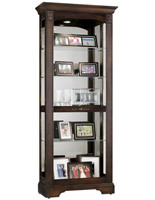 Shelving & Storage: Tempered glass shelves and clear sliding doors are used in some units to show off items for sale, or keepsakes for the home. 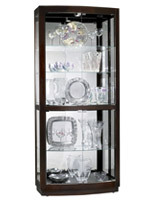 Security: Most of these units have locking doors to keep merchandise and personal items safe from tampering and theft. 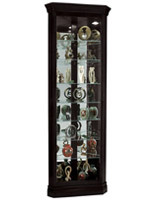 Sizing: These beautiful fixtures come in myriad sizes for every store configuration or home space imaginable. Purchase in bulk to outfit an entire store at low prices. Additional Features: Some of these commercial showcases have lighting to instantly draw customer attention to finer goods. Some units have sliding wheels & a tip base for mobility. 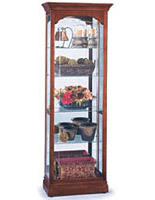 All units in this category are pre-assembled for buyer convenience, a boon for busy people. When it comes to saving money, every store owner knows that quality materials are key to maintaining the professional appearance and life span of your furniture. Our wood & veneer finishes include cherry, golden & honey oak, maple, rose, black coffee, black lacquer, and clear to suit any decor in most venues. 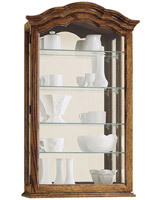 These units are constructed in narrow, mid-range, and wide frames. 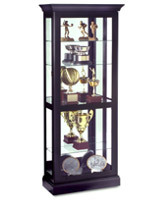 They range in height, width, number or shelves; illuminated options also are numerous in number and configuration. 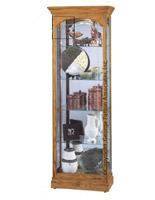 These quality antiques showcases also come light-free, for those who wish to spend less, or whose display items don’t require that level of detail to be seen. 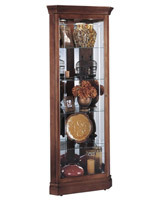 Whether storing or highlighting antiques in the dining area of your home, or promoting collections of artifacts in a museum, these cabinets with lights enhance the style and ambience of any room. 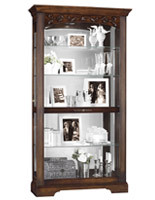 Use open-shelving units as bookcases, while illuminated frames can enhance smaller items like jewelry most exquisitely. While often expensive, this website offers bulk purchasing to outfit larger stores and reduced pricing for individually purchased items, without sacrificing quality and craftsmanship. 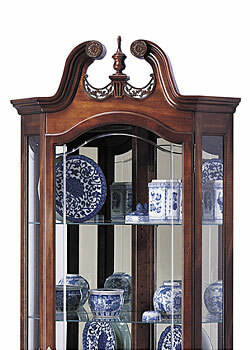 Store furniture has never been so detailed and professional looking.